William’s Rainbow is a drink that’s served with style. 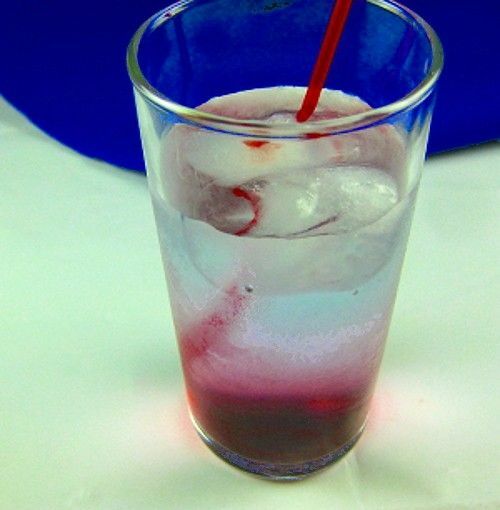 You pour in the blue curacao and reddish grenadine, letting them float loosely in the vodka and lemon-lime soda. Let the guest stir it. After stirring, it becomes purple – like magic. Hey, this is the sort of thing that delights the kid in us all. This drink is also tasty, blending lemon-lime with the flavors of orange and cherry-pomegranate. Fill a highball glass with ice. Pour the vodka first, and then fill 3/4 of the way to the top with the lemon-lime soda. Slowly pour in the blue curacao followed by the grenadine. Serve with a stir straw so the guest can stir it.